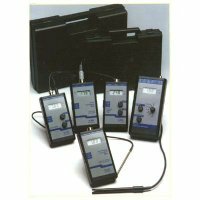 The Ultimate Portable Water Analysis System, Ultra Pure Water Monitor, N-270 Conductivity Controller N-770 pH/mV Controller - D. I. Engineering Co. Ltd. The Analyst uses safe, low cost Reagent Tablet Test Kits. 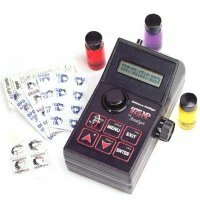 Over 90 test kits available. Most kits use convenient, pre-measured, single dose, stable tablets that are safe and economical. Kits contain everything needed for each test. Ready for immediate use, they eliminate pipetting, glassware clean-up, and provide lower cost per test. 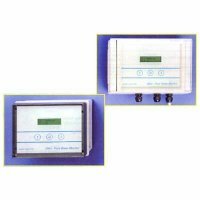 The N-270 Conductivity and N-770 pH/mV monitors use an IP-66 clamshell type enclosure. The front panel gives clear indication of the process variable on a large 12.5mm LCD. All the controls and connections are easily accessible inside the enclosure. This design prevents unauthorized personnel interfering with the calibration and function of the monitor. Cable exit may be made out of the back of the enclosure for mounting on a panel or out of the bottom for normal wall mounting. 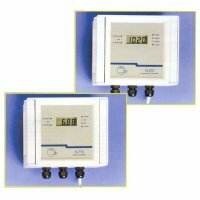 The ProSys Monitors are a range of general purpose, simple to use industrial indicators with trip outputs and optional current loop output. They use modern electronics & sophisticated techniques for reliable measurement and control. A wide range of sensors and accessories is a available. Full range of sensors & accessories. Fully Isolated 4-20mA Output Option. Single instruments or Laboratory Multi-Meter version. Robust, splash proof case with tilt stand. Mains adapter or batteries with Batt Low indicator.